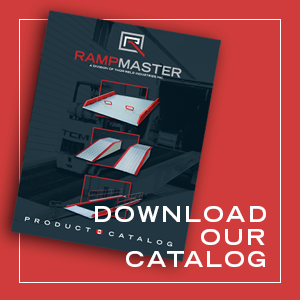 Our complete range of tough, lightweight aluminum & steel truck and rail dockboards are fully engineered to meet all of your needs. Capacities on standard sizes up to 24,000 lbs., most aluminum models are available within a few days. Custom sizes, width in excess of 72″, and capacities over 24,000 lbs. are available upon request. For 3 easy steps to engineering a dockboard, please click here. • FORKLIFT HANDLES – Optional – Originated by Rampmaster, removable handles. Recommended for boards over 150 lbs. 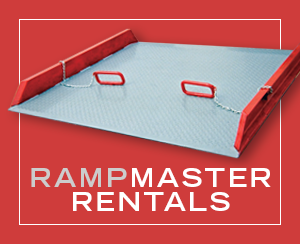 • RAMP/DOCKBOARD – combinations also available for extreme height differentials.